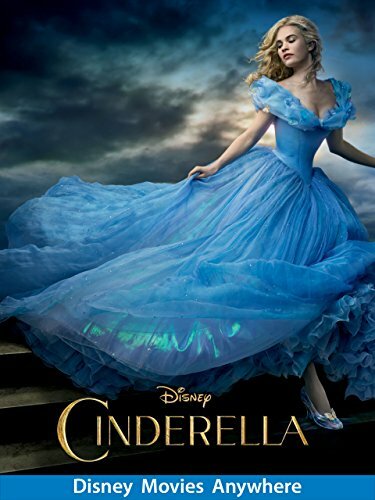 For Christmas, a good friend gave our family the 2015 Disney movie Cinderella. Have you seen it? I hadn’t, but our family watched it the night we were given it, and it was wonderful. The movie has essentially the same plot as the animated version from 1950, only this time with actors and more content to the story (for example, her original name was just Ella). I appreciated Cinderella’s extraordinary “courage and kindness,” the watchwords she lives by after her mother passes away. And after Cinderella’s father dies (more tragedy! ), these ideals are certainly tested. Cinderella’s stepmother and stepsisters treat her not as a sister but a slave. She lives in a dark, drafty attic with only mice for friends. However, what impressed me more than her courage and kindness, was her capacity to forgive her captors. philosophical conflicts (e.g., will evil triumph over good?). We can debate the central conflict of Cinderella, but it would seem to me, it’s this: Will all the cruelty and all the tragedies make Cinderella, in the end, bitter or beautiful? I’m sure you know the answer, but you should watch it anyway. At our family breakfast table the next morning, my wife and I had an excellent discussion with our children about the movie, and in particular, Cinderella’s ability to forgive, which is what kept her from becoming bitter. When I say movies are searching for the gospel, I don’t mean the content of the gospel, but more the shape of the gospel. Movies tap into our deepest emotions because they draw on truths and realities that only make sense in light of the gospel, and the questions they ask are only resolved in the gospel. In other words, movies (and stories in general), don’t explicitly teach that God is on a rescue mission to redeem his creation through the life, death, and resurrection of Jesus. That’s gospel-explicit content. But movies do, he writes, often feature themes of “good versus evil,” “happy endings,” and “suffering and sacrificial love,” which are themes that have the shape of the gospel. The movie Cinderella is no exception. Whether you have young children or not, I’d encourage you to watch the movie. If you do see it, below are some questions (and a few brief comments) to help guide your discussion at the breakfast table the next morning. 1. What made you laugh? It’s not a comedy, but it is funny. Don’t skip this one if you have kiddos. 2. What two words did Cinderella’s mother tell her to live by, and how did Cinderella live these out? Oops, I already gave the answer (“courage and kindness”). Still, it’s worth discussing the second half of this question. 3. What makes someone beautiful, and what makes someone ugly? And where does beauty matter most, on the inside or outside? This is an important theme in the movie, and for that matter, the Bible. “Charm is deceptive, and beauty is fleeting; but a woman who fears the Lord is to be praised” (Proverbs 31:30). 5. Lady Tremaine, the stepmother, also had many difficult things happen to her. What were some of them? Does this give you sympathy for her? How did Cinderella and her stepmother react differently to grief? Though both were given lemons, the difference between the two is the difference between a sip of lemonade and a giant mouthful of sour candy. 7. How do you choose whom you will marry? I’m not entirely sure which direction to take this question, though it seems to be central to the movie. The clear answer is that “marrying for advantage” is wrong and “marrying for love” is right. But why? Talk about that. 8. At the very end, why do The Grand Duke, the stepmother, and the stepsisters leave the kingdom? Are they banished or do they choose to leave? Was reconciliation not possible? The narrator says, “Forgiven or not, Cinderella’s stepmother and her daughters would soon leave with the Grand Duke, and never set foot in the kingdom again.” In other words, their exile was self-inflicted. 9. What are some of the difficult things that happened to Cinderella? There were many, many things. 10. What is the most difficult thing that happens to Cinderella? Walking out the door of her father’s house for the last time, with Kit, her soon-to-be husband, on her arm, Cinderella paused. She turned. She looked up at her stepmother. And she said, “I forgive you.” That’s the most difficult thing in the movie, in my opinion. And where does this strength come from? The shape of the gospel.